The Magnificent Monday version of MRM’s Daily Bite has news from YO! Sushi and Bento Sushi, Punch Bowl Social, Bite Squad, HUNGRY and California Tortilla. YO! Sushi acquired Bento Sushi to create a global multi-channel and multi-brand sushi platform. The acquisition values Bento at CAN $100 million and has been facilitated by Mayfair Equity Partners, who partnered with the YO! management team as part of a management buyout in 2015. Bento, founded in Toronto in 1996 by Ken Valvur, is the second largest sushi brand in North America, and the largest in Canada trading from over 600 locations, while supplying sushi to a further 1,700 partner sites. Bento operates across a range of formats which complement YO!’s existing proposition. These include quick service restaurants, on-site kiosks in supermarkets and other food service locations, and a number of production facilities which supply sushi to grocery and institutional food service clients across North America. The business has achieved strong growth, delivering compound annual sales growth of 16 percent in the last three years. Bento and its licensees employ over 2000 highly trained sushi chefs and serve more than 20 million sushi portions every year. Bento’s success has been driven by Ken Valvur and Glenn Brown, Bento’s Chairman and Chief Executive Officer respectively, and as part of the deal they join the Board of YO! and become significant shareholders in the combined group. The combined business becomes one of the largest sushi companies outside Japan. With YO!’s international restaurant network across Europe, the Middle East and Australia, the combined business becomes one of the largest sushi companies outside Japan, providing an international, multi-brand, multi-channel offering, well placed to benefit from the continuing increase in consumer interest in healthy, provenance-rich foods. The acquisition will create synergies and enable the continued growth of both businesses, particularly in the US market. The combined businesses have recorded sales of approximately £175 million over the last twelve months. The acquisition of Bento comes after two transformational years for YO!, in which Mayfair Equity Partners bought into the business and Robin Rowland returned to the role of CEO. Following a renewed focus on the brand, product, and people, including the appointment of several senior team hires, the business has seen like-for-like sales growth of +5% over the past 18 months. Eight new sites opened in the UK this year, as well as the Group’s first sites in Manhattan, Paris and Sydney. Punch Bowl Social Stapleton had its grand opening event this past weekend and Work Zone Cam celebrated the release of its new construction time-lapse movie, clip above. Punch Bowl Social worked with Denver-based OZ Architecture on the architecture and design of the airport tower. Located in the Stapleton Air Traffic Control Tower building, the new restaurant, bar, bowling alley, arcade and more is housed across 32,000 square feet at the base of the tower. Work Zone Cam was onsite to document each stage of the 17-month construction process for the Denver area’s newest “it” spot. While the rest of the airport structures have long been demolished, the air traffic control tower has stood vacant for over 20 years as a thriving planned community developed around the iconic municipal site. This marks the “eat-ertainment” destination’s 10th location. While the rest of the airport structures have long been demolished, the air traffic control tower has stood vacant for over 20 years as a thriving planned community developed around the iconic municipal site. The historic preservation and adaptive re-use project was a significant, multi-year undertaking. The building was structurally sound but the interior had degraded substantially over the past two decades, requiring comprehensive infrastructure improvements. The design of the 32,000-square-foot project honors the legacy of the airport and preserves many elements of the historic tower, including the precast panels that originally adorned the exterior of the building. The intensive effort required removing and preserving the panels to accommodate the new design and then setting them back on the building. The project also incorporates a “golden age of flight” aesthetic within the interior design. Dozens of ideas for re-use of the tower were presented over the years, including demolition. Finally, Denver City Councilman Chris Herndon, who represents the Stapleton neighborhood, approached Robert Thompson, founder and chief executive officer of Punch Bowl Social, about redeveloping the historic tower. 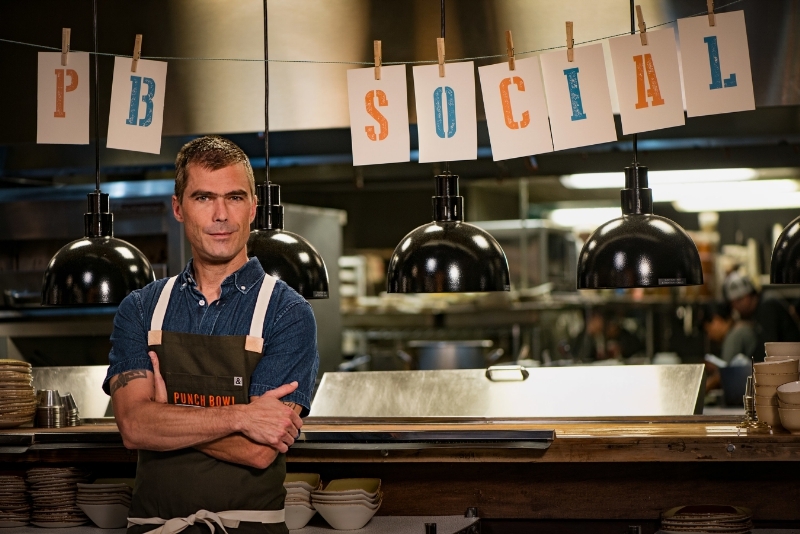 Punch Bowl Social Stapleton will bring a thoughtfully curated menu created by the company’s culinary partner, James Beard Award-winning chef, restaurateur, author and “Top Chef” judge, Hugh Acheson. Acheson leads the ongoing culinary direction of the growing restaurant concept, further strengthening Punch Bowl Social’s commitment to a diner-inspired scratch kitchen. Punch Bowl Social Stapleton will feature six bowling lanes, bonzini, darts, two private karaoke rooms, a photo booth, shuffle board, giant Scrabble, a custom-built 360-degree bar, and a wide variety of indoor and outdoor lounging and gathering spots. The location will also be home to the company’s first expansive outdoor space with two regulation-size bocce courts, ping-pong, corn hole, giant Jenga, an AstroTurf-lined “pool,” stadium seating, gazebo, and beer garden. Bite Squad launched a new subscription-based service that gives customers free delivery, no matter how many times they order, for one monthly payment. The service, called Unlimited, is invite-only for the time being, and provides members with as many delivery orders as they like – all day, every day – with no individual delivery fees. The monthly payment varies by market (up to $9.99). Customers can order unlimited deliveries from any of the partner restaurants on the Bite Squad platform within a four mile radius of their delivery location. 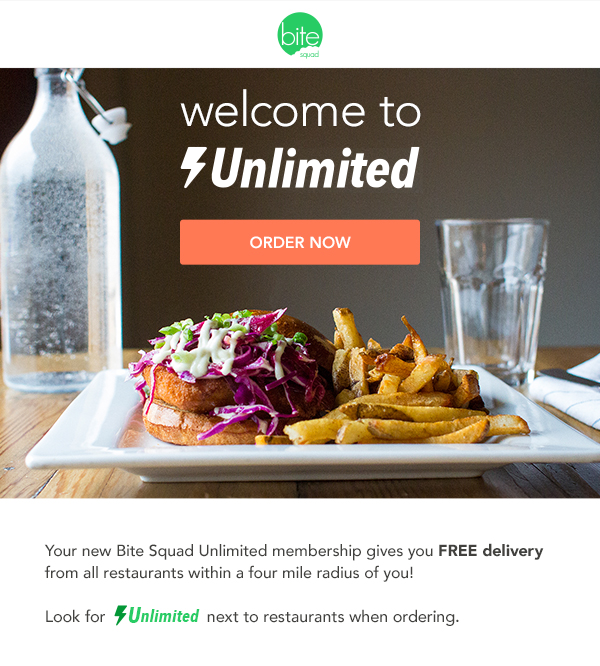 Bite Squad Unlimited is designed to provide increased value to customers who order delivery more than twice per month. It also offers consumers who would like to use the service more regularly an affordable way to do so. The subscription service is not yet public. Bite Squad Unlimited began with an email invite-only beta test this fall, and in the next few weeks it will be offered to select customers during the checkout process, on the Bite Squad site. The company plans to roll-out broader availability in 2018. HUNGRY, the D.C.-based online catering platform, launched their new online marketplace that gives consumers access to top local chefs, food variety and low prices for office catering via an online interface that streamlines ordering of any kind of office catering or group order. The launch comes just in time for placing catering orders for holiday office parties and seasonal events. The new marketplace auto-populates tailored options, servings, prices and more, providing personalized preferences to businesses based on their company’s size, timeframe and taste palates. This approach to catering takes the guess work out of ordering quantities and options – a stressor for admins ordering – and generates local chef-prepared dish choices in line with the company’s interests. Planning to open late 2018, California Tortilla is currently looking for available retail locations throughout Raleigh/Durham. 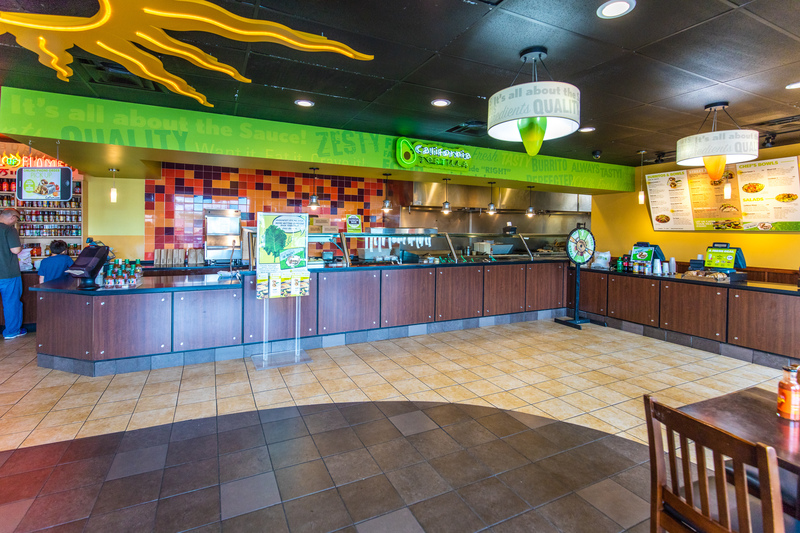 This franchise agreement aligns with the brand’s overall strategy to bring its unique flavors and chef-created menu to guests across the country. California Tortilla expects to open 10 units over the next five years in North Carolina’s metropolitan areas including Raleigh, Durham-Chapel Hill and Charlotte, and seeks qualified franchise partners to further cement the brand as a fast-casual dining leader on the Eastern side of the United States. Currently operating 50 locations across the mid-Atlantic region and three in Qatar, California Tortilla serves made-to-order burritos, bowls, street tacos, quesadillas and salads. Each restaurant is dedicated to serving farm-fresh, never frozen ingredients and everything is hand prepared in small batches daily in scratch cook kitchens. The innovative menu, grounded in a foundation of Mexican cuisine, features 25 unique chef-created dishes, such as the Korean BBQ Burrito, Blackened Fish Tacos and California Sunset Bowl. Every California Tortilla features a Wall-of-Flame, a towering display of 75 distinct hot sauces, ranging from mild to tongue-melting, allowing guests to further customize the flavor and heat level of their meal. The total initial investment to open a California Tortilla ranges from $412,700-$708,800. 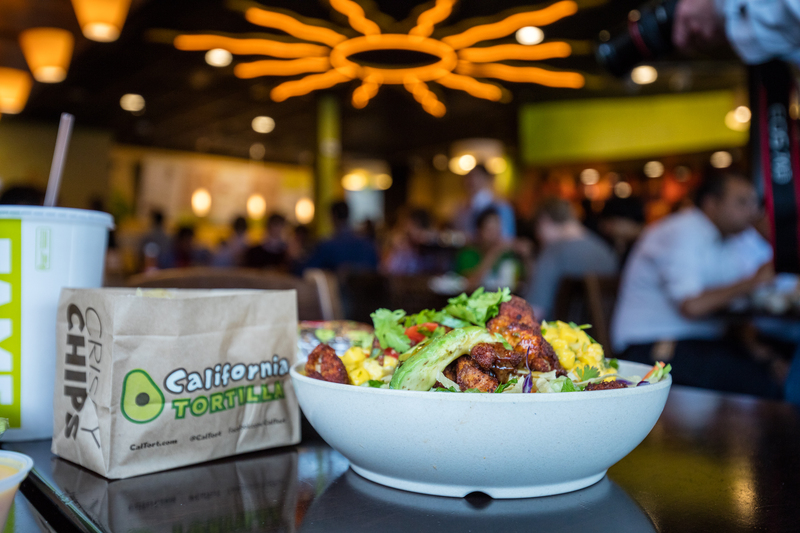 California Tortilla seeks franchise partners in new markets and markets where the brand is already present for multi- and single- unit agreements. The brand is targeting growth in large metropolitan areas and suburban locations in strip malls. It also has several locations in non-traditional venues such as airports, college campuses and mall food courts and is looking for these development opportunities as well. California Tortilla expects to open a total of 10 new units over the next year.